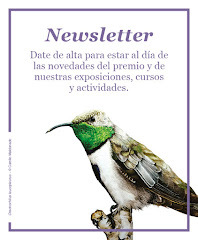 DESCRIPTION: I am a full-time freelance illustrator and occasionally do scientific illustrations for museums and wildlife preserves. The style is inspired by sketchy scientific illustrations that would be found in sketchbooks of classic adventurers or scientists. The illustration is arranged with vignettes of field book illustrations of Floridian wildlife and plants. 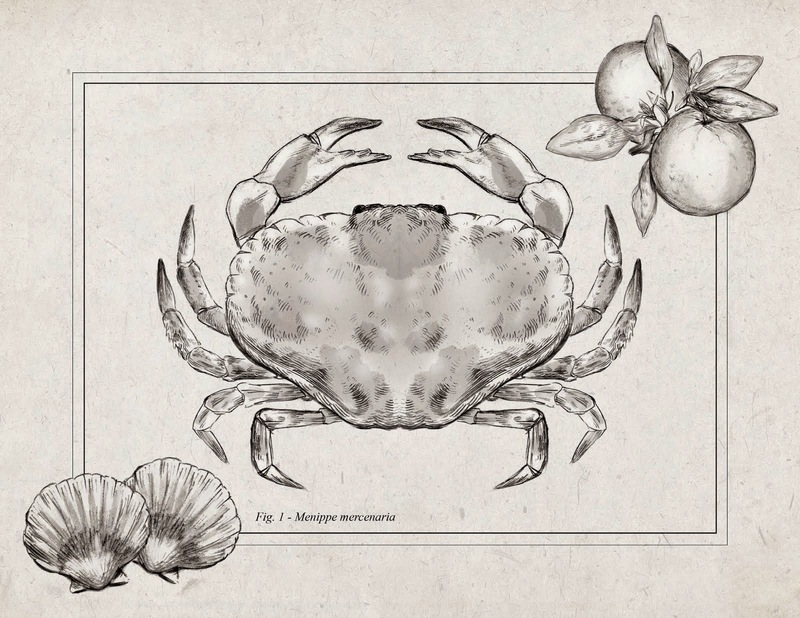 The image was created with sketches featuring a classic scientific illustration inspired cross-hatching and shading style. The initial stages of the image was done traditionally in graphite and transferred into Photoshop for finishing alterations and made to emulate vintage scientific illustrations. 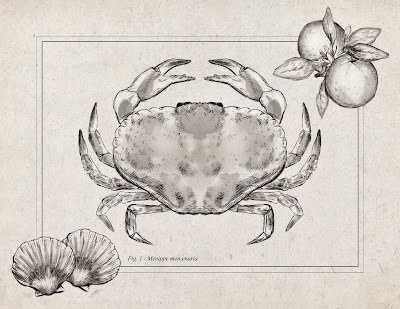 This specific illustration's intention is to focus on depicting a Florida crab while framed with iconic Florida oranges and shells.